The expectation sound was already very high due to the auditions here in the shop. You ukulele, however, has far exceeded these expectations. It sounds warmer, rounder, and voluminous than my concert ukulele. For the price it will be hard to get a better sound with a ukulele. The ukulele is clean, has a nice even color and feels very finished. The surface shines beautifully evenly and is largely smooth. There are a few tiny "bumps" in the wood but through the paint you do not feel it and you only see it with a certain amount of light and if you pay attention to it. The mechanics are clean and robust. More will show a long-term test. 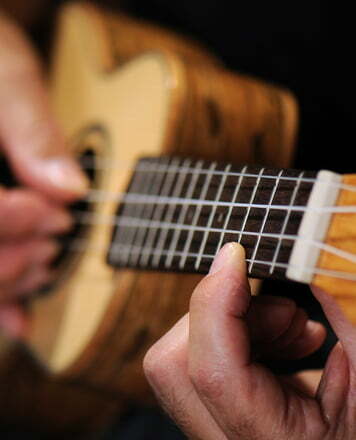 A really nice and high quality ukulele that also brings a great sound. At this price I have not yet seen a ukulele that produces such a beautiful sound. The delivery came "Thomann typical" fast and the ukulele was neat and secure packed. Good sound, prima processed (as far as I can judge), nice piece. Am not a ukulele connoisseur, I had something about recommended Koa wood from Hawaiian oriented. Purchased for daughter; she uses it autodidactically and is glad to hang her ALDI test ukulele on the nail. Price performance ratio with bag, belt and tuner in the set well portable. ID: 398075 © 1996–2019 Thomann GmbH Thomann loves you, because you rock!